Sometimes you may need to disable USB(Universal Serial Bus) ports for your security. 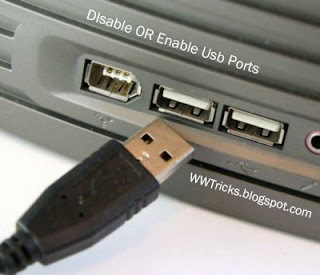 If you have any doubt that someone stealing your data from your computer when you're not at home or you don't want anyone, be able to connect usb with your pc then you can Disable Usb ports as here in this post we are going to show you how you can Disable or Enable Usb ports?. In this post first we will show how to Disable USB port and then How to enable USB ports too. First of all Go to RUN-> type CMD and hit enter. 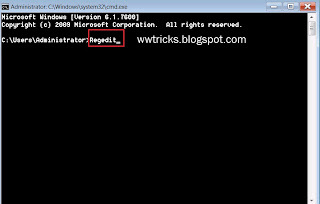 command prompt window will pop-up Type REGEDIT and press enter. 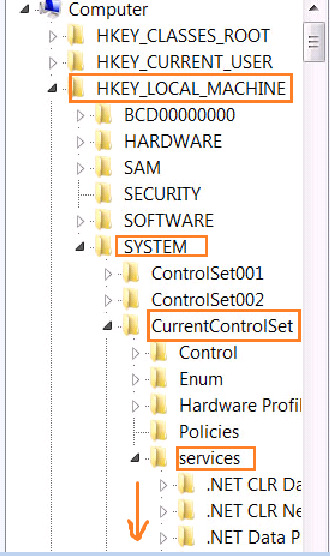 Now 'Registry editor' window opens.Here you have to navigate to HKEY_LOCAL_MACHINE\SYSTEM\CurrentControlSet\Services\usbstor. To navigate this first double click on HKEY_LOCAL_MACHINE from the left pane. 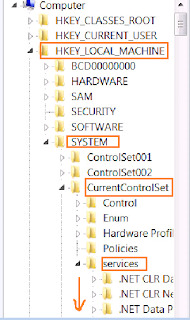 After clicking on it this will expand, Now expand SYSTEM by clicking on it and then CurrentControlSet-->Services. Now after Services you have to find "USBSTOR". So single click on USBstor (not double click or expand). After clicking on it at the work area double click on 'start. 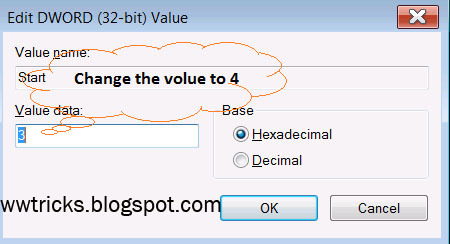 A little window will pop-up, here in the 'Value data' box change the value to 4. also make sure that the tick mark is on Hexadecimal. Finally click on "OK". You're done all required steps to disable usb ports in your pc. Now just connect a usb in any port and check out is it a working trick or not? tell us in the comment box. And click on Start But now you have to change the value to default. i.e from '4' to '3'. so type 3 in the box and click ok.
Now you enabled USB ports on your pc again. So this was a very simple pc trick that how you can Disable or Enable USB ports in your pc. Your post is very helpful for disable and enabled USB post, Thanks for sharing nice information in your blog. We're glad that the post is helpful for you.